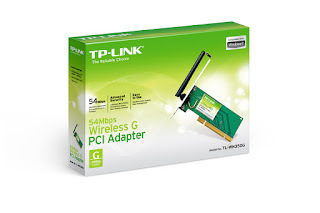 Download TP-Link TL-WN350G Wireless PCI Adapter Driver For Windows 2000/Vista/XP/7. This TP-Link TL-WN350G offers wireless speed up to 54Mbps, ideal for basic Internet surfing. It delivers performance enhancements, allowing you to have a joyful surfing , including sharing files, documents, photos, music or others on your network. TL-WN350G compatible with Wi-Fi Protected Setup™ (WPS), TL-WN350G features Quick Security Setup that allows users to almost instantly setup their security simply by entering the pin of the wireless router.